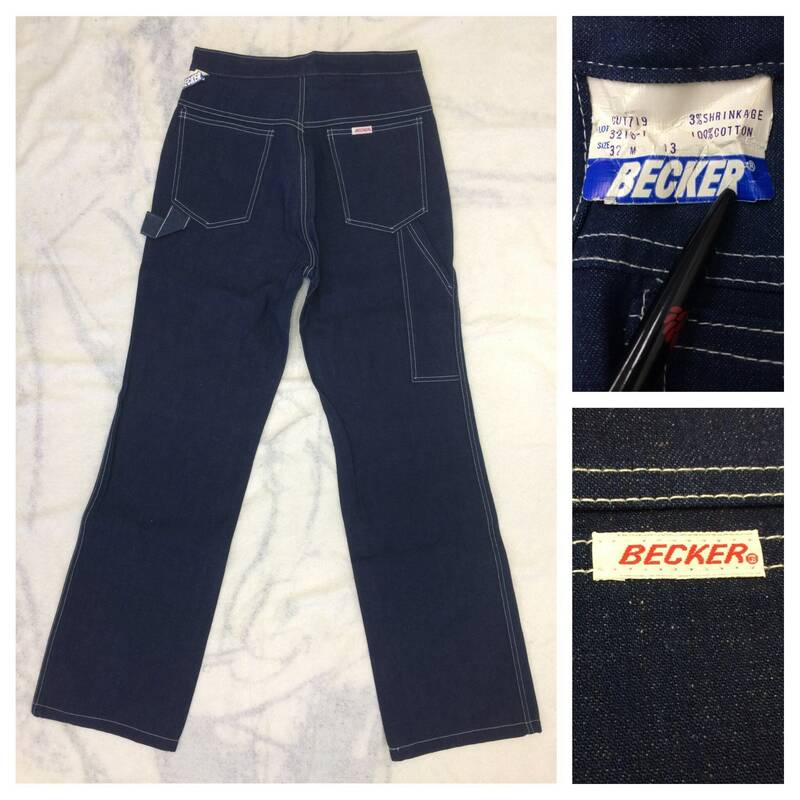 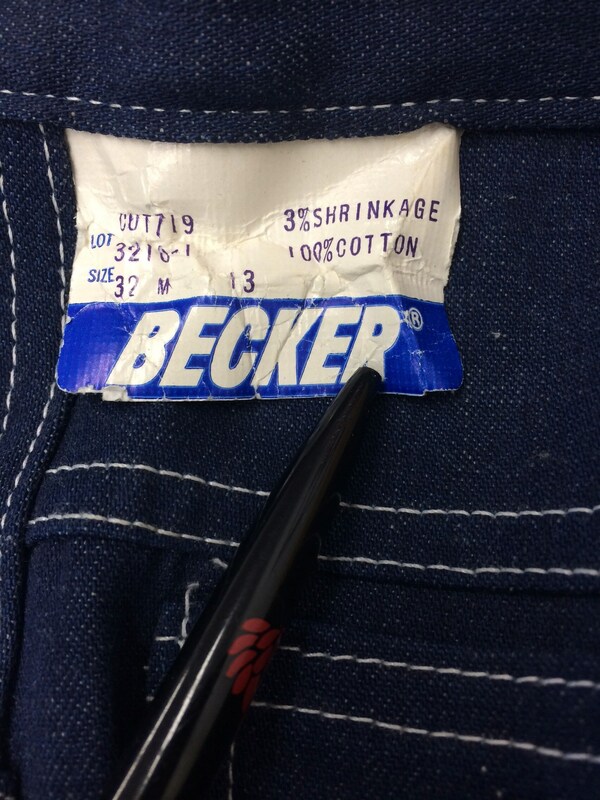 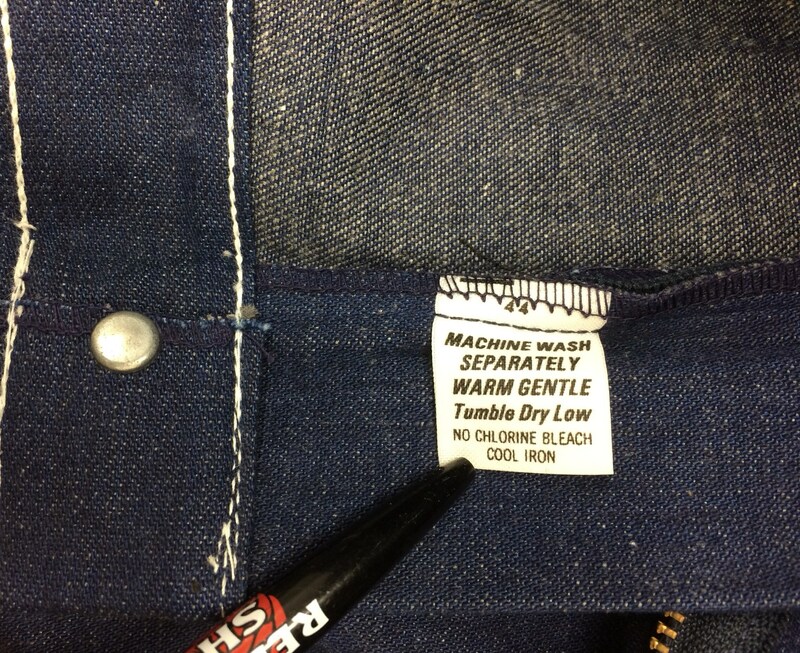 Here's a pair of deadstock denim carpenter pants from the 1970's with the original paper tags still attached. 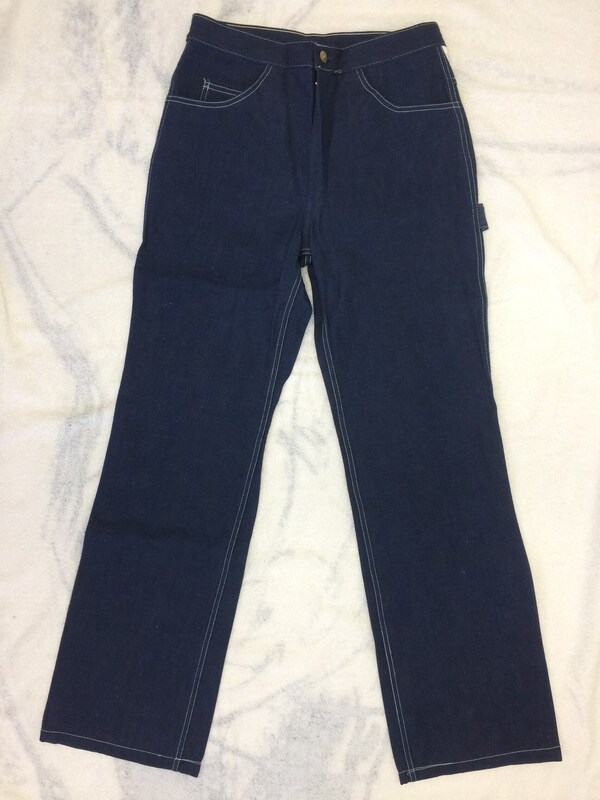 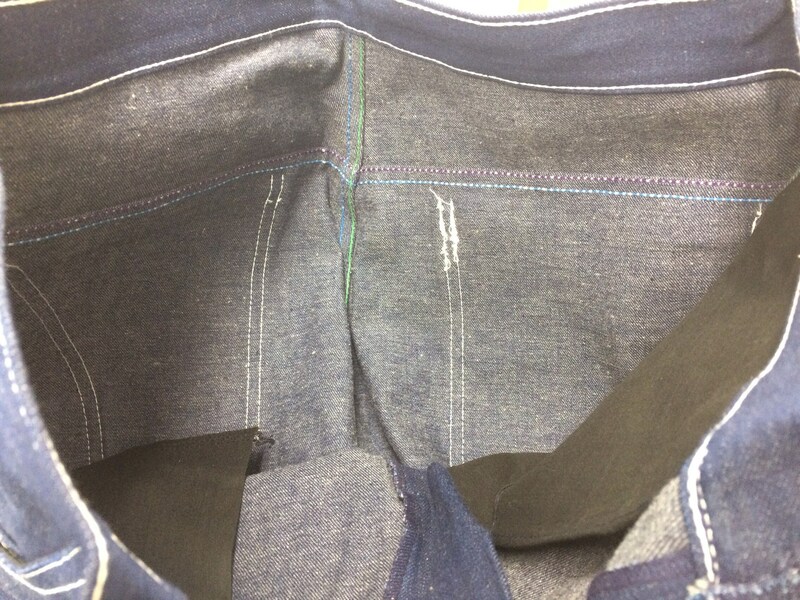 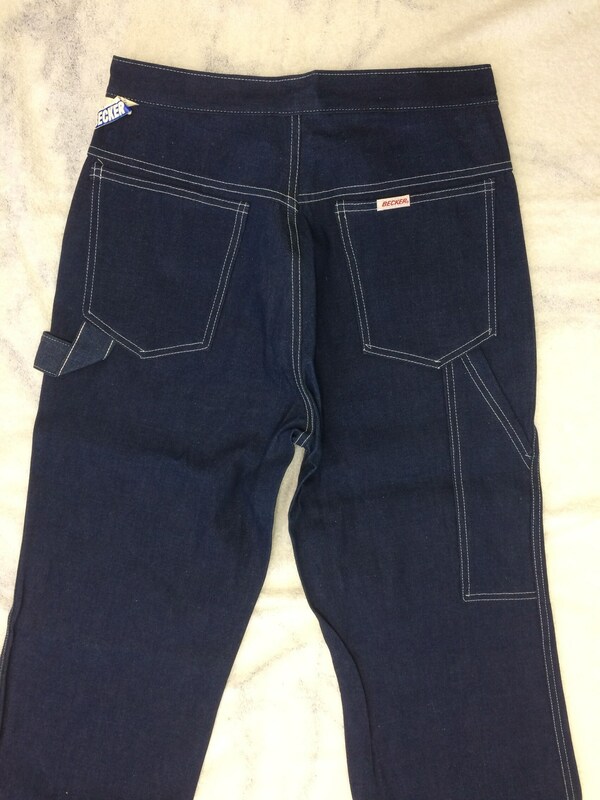 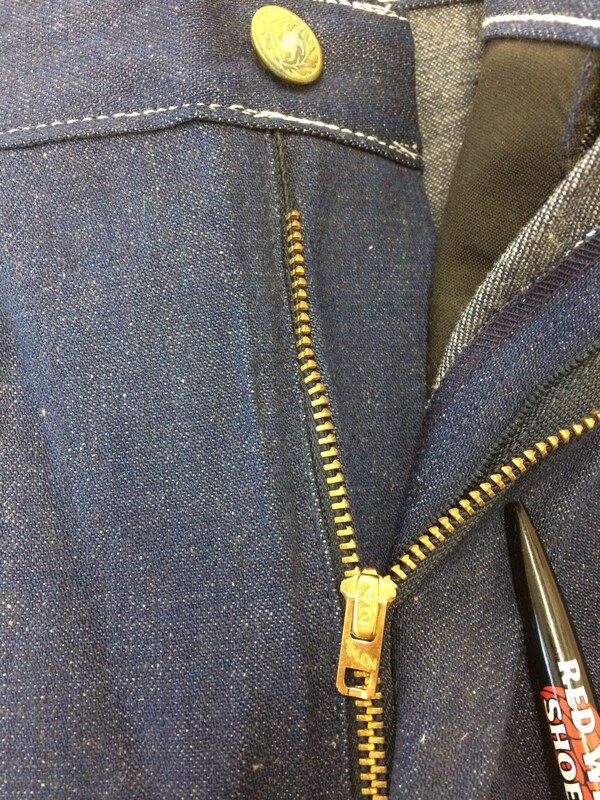 They have a dark indigo blue color with a brass Talon zipper. 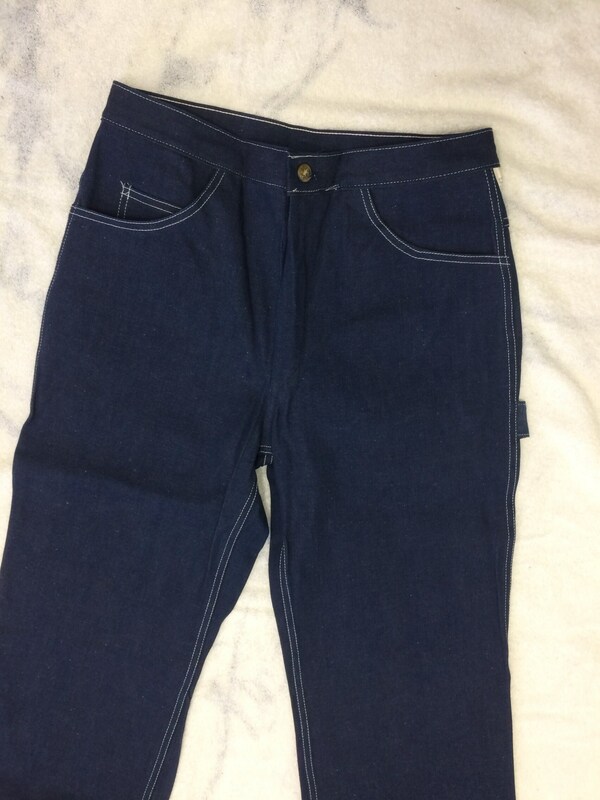 They're in excellent unused condition, no damage.